A five-year-old boy died in eastern Ukraine of multiple head wounds Friday from a Ukrainian mortar shell, despite a 5-hour-long operation by doctors to save his life, Russian media report. His mother died on the spot in the same mortar shelling. When Arseny Danchenko was admitted into the hospital Thursday, doctors found at least 30 head wounds caused by mortar shell fragments from one to five millimeters in diameter. Many of the wounds were declared inoperable, yet surgeons attempted to do whatever they could. “Arseny died at 2am last night. 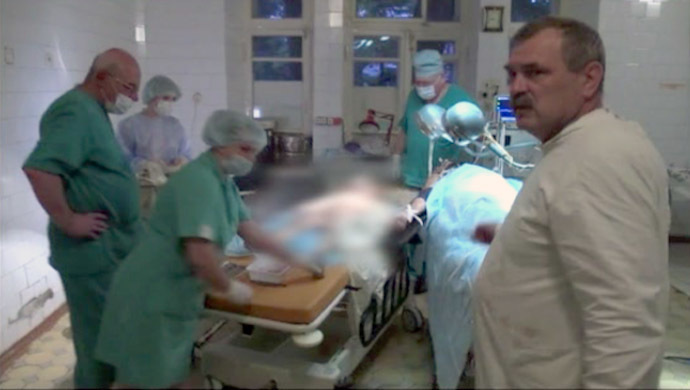 Medics tried to save his life for over five hours,” Russian daily newspaper Komsomolskaya Pravda reported from the hospital. On Thursday evening, Ukraine’s National Guards artillery, stationed on the Karachun mountain, rained a barrage of mortar shells on the Golubovka suburb of Slavyansk. Arseny’s mother, Nadezhda Danchenko, 29, ran out into the courtyard to grab her son and hide in the cellar. But as soon as she picked her son up in her arms, a shell exploded right next to her, killing her immediately. “My daughter screamed that the shooting began,” Nadezhda’s mother told Russia’s LifeNews TV. “I told her to get to the cellar. Apart from the Danchenkos, seven other people were wounded in the same artillery barrage, including a man and a woman with fatal wounds, who died later in the hospital, which was packed to overflowing. 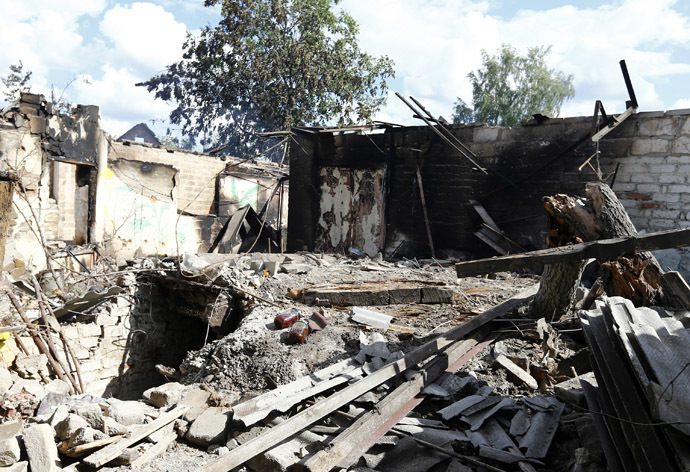 Glushchenko said that all the people hospitalized with mortar injuries were civilians. “I do not comprehend what is going on,” he said. “When are these killings going to stop?” a relative of Danchenko’s said. “When will they leave us alone? When will they let us live the way we used to? Why are they killing us?” Witnesses told LifeNews that the Ukrainian army was using heavy artillery and that shells are exploding in and next to the settlement every day. 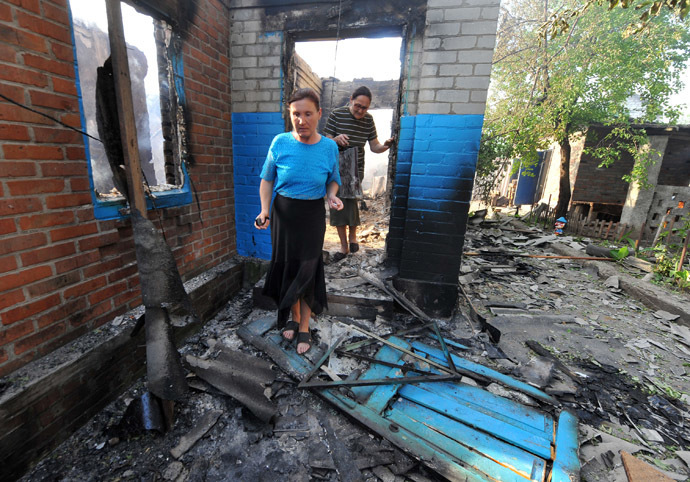 Residents of Golubovka said that shells are incoming simultaneously, three to four at a time. “Every night we go to sleep listening whether they are starting to shoot or not,” a local woman said. “They’re shooting all the time from two locations, Karachun and Rybkhoz. 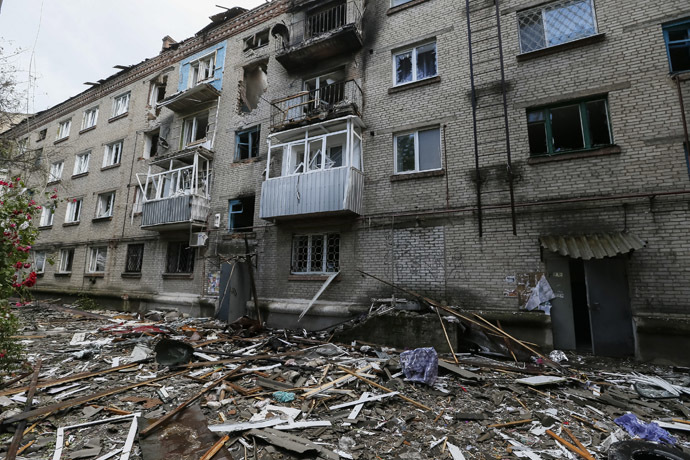 I don’t know how to live here anymore.” She added that on Thursday the Ukrainian artillery was shelling some other targets, then all of a sudden, without any ranging-in shots, the shells began to land in the yards of apartment blocks. 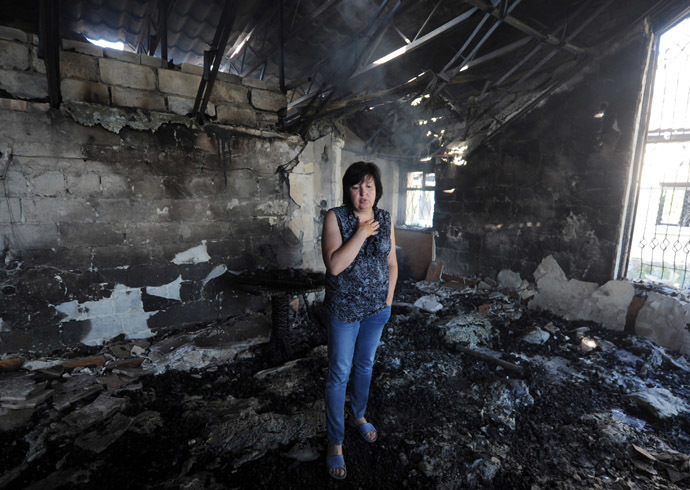 Ruslan Khakimov, Nadezhda Danchenko’s husband, said that Ukrainian authorities should come see the material evidence of the shelling and “draw their own conclusions.” “We’re not going to leave Slavyansk so easily now,” he said. The humanitarian crisis in the eastern Ukrainian city of Slavyansk is worsening by day by day, with disruption of water supplies and electricity amid continuing fighting. On Tuesday, Ukrainian President Petro Poroshenko declared that he was ready to order a temporary unilateral ceasefire, but since then the Ukrainian army has not shown any sign of ending its military campaign.